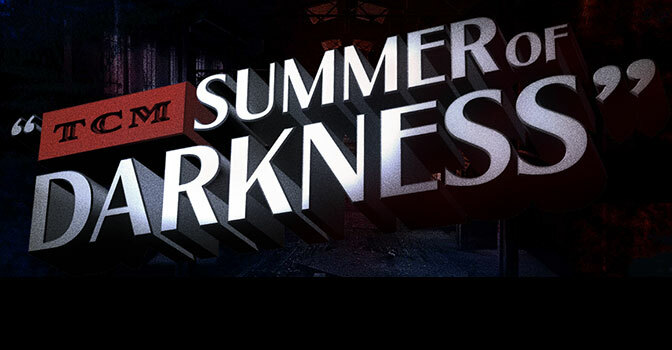 TCM’s Summer of Darkness and FREE Film Noir Course! 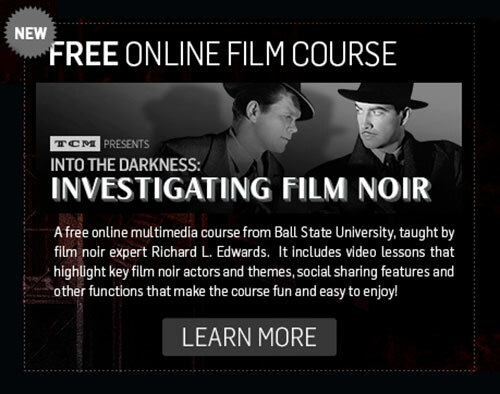 Even more exciting, though, is that TCM is partnering with Ball State University to offer a FREE online course in film noir, through online learning platform Canvas. That’s right, it’s an actual 9-week course that will grant you an actual certificate of completion if you do all the course requirements. 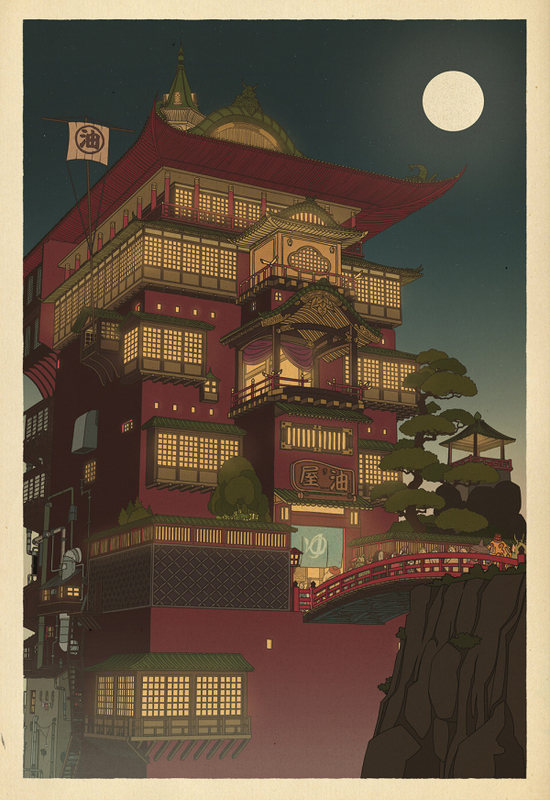 The info page estimates that the coursework will take 2-4 hours per week, in addition to watching the films (on TCM, or via other means – the course promises that there will be public domain films available to watch even if you don’t have access to TCM). Even if you can’t put in that kind of time commitment, as I may not be able to myself, you can still enroll in the course and follow along at whatever level you’re able. 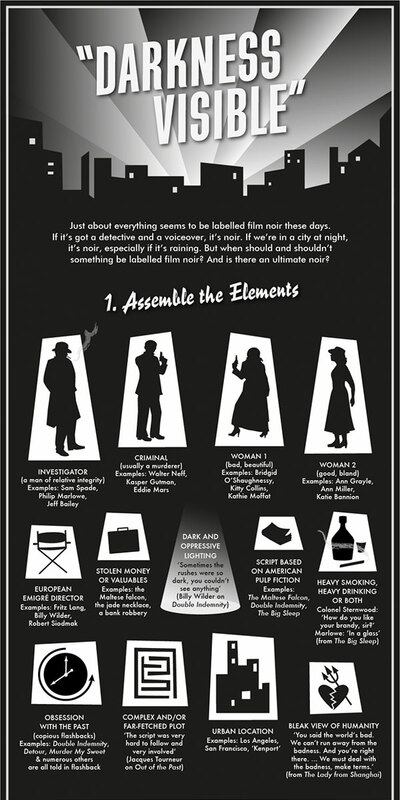 The 9 weeks will cover the definition of noir, its influences, its relationship to the studio system and the post-war era, and the types of characters and themes you find in noir. I’ve never done an online course like this, so I’m pretty excited to see how it’s going to go! The fun starts on June 1 (that’s this Monday), but there’s still time to enroll! Be sure to let me know if you join up! I’d love to discuss one of my favorite genres with you, and I’m sure there will be plenty of healthy discussion both in the course itself and on Twitter and probaby Facebook!